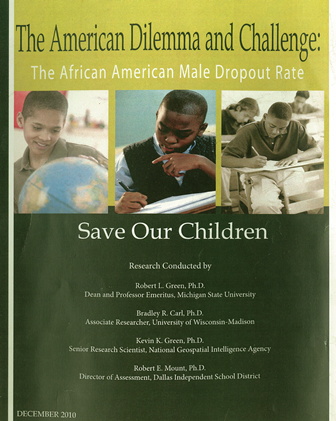 Robert L. Green and associates George White and Dr. Theodore Ransaw produced the publication. 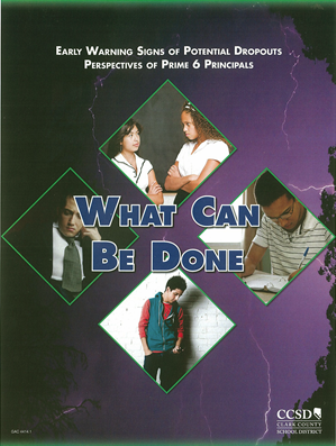 It is based on a knowledge-sharing project involving elementary school principals in Las Vegas. The principals were provided information on the early warning signs, indicators that a young child will likely drop out of school at a later age. The principals then provided information on their past effective responses to indicators or their best ideas for addressing early warning signs. This was an important expectations training manual for teachers produced by Robert L. Green. 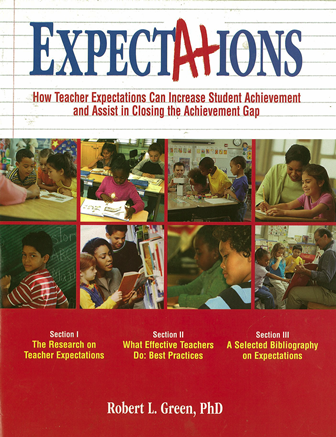 Robert L. Green edited this anthology on expectations, which includes a chapter by associate Kevin K. Green. 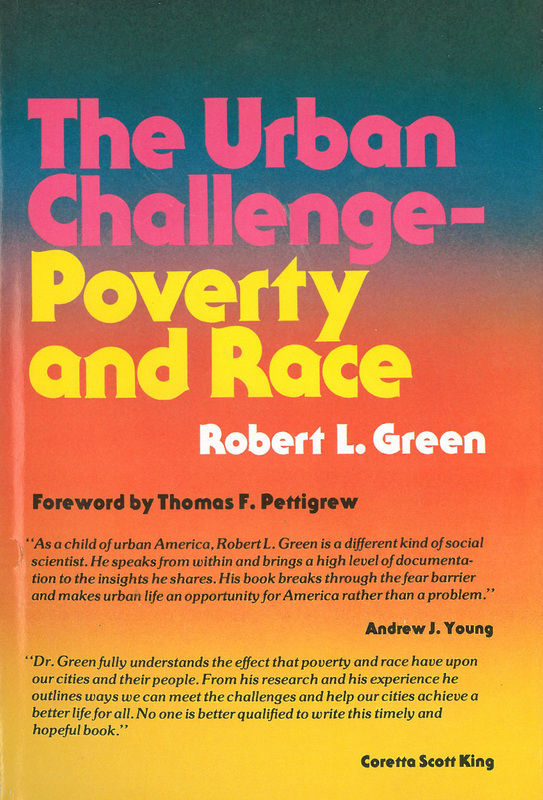 Dr. Green’s groundbreaking book examined a range of urban issues – poverty, urban finance, housing and law enforcement among them. It generated critical acclaim and a high sales volume. 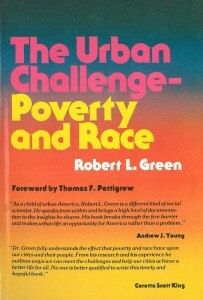 The book was required reading in many university courses nationwide. This is a pre-publication synopsis of At the Crossroads of Fear and Freedom: A Memoir on the Fight for Social and Educational Justice, an autobiography to be published in 2014. But none of these treatments have the remarkable perspective of Dr. Robert L. Green, a friend and colleague of Dr. Martin Luther King, Jr. He served as education director for King’s Southern Christian Leadership Conference during a crucial period in Civil Rights history and – as a consultant for many of the nation’s largest school districts – he continues to fight for social justice and educational equity. Those objectives motivate him as he serves as an advisor in classrooms in some of America’s poorest communities and the same goals prompted him to help lead a march “against fear” that reached its destination despite attacks by state troopers and Ku Klux Klan threats. It’s a quest that began when he helped the Kennedy Administration resolve a catastrophic education-related impasse and continued when he recently served as one of the participants at an Obama administration summit on a current academic crisis. It is commonly said that education is the new Civil Rights. However, At the Crossroads helps us understand that educational equity has always been a central objective of the Civil Rights movement. An excerpt from A Call for Change, a book that proposes solutions to problems related to black male education. 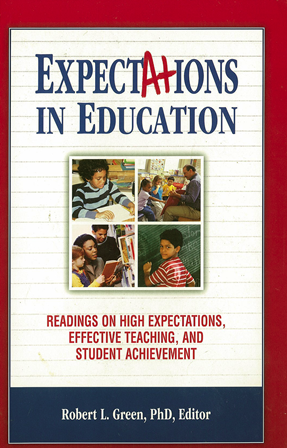 Expectations are important but schools must also have the resources to create the conditions to enable students to reach high standards. Public funding is important. The Education Trust, which promotes academic achievement, frames the challenge in this recent post on its website. Research and common sense tell us that schools need more resources to help the low-income students and students of color who have less outside of school achieve at the same high levels as their more affluent peers. But at the federal, state, and local levels, we actually spend less on the schools serving the highest concentrations of these students . . . In many states, school districts that serve the highest concentrations of low-income and minority students receive less in state and local funding per pupil than districts serving affluent and white students. Nationally, the districts that serve the largest concentrations of students of color receive an average of $1,100 less per student in state and local funds. . . . What’s more, even in some states that drive money to high-poverty districts, those dollars may not actually get to the highest poverty schools within the district because of differences in how teachers are paid. Simply put, the highest paid teachers generally are not teaching in the schools where they’re most needed. Closing these funding gaps is critical if we are to live up to our national ideal of providing all children with equal opportunities to become educated citizens (Education Trust 2009). To be sure, if we are to generate the resources necessary to increase Black male academic achievement, we must convince the public to increase its expectations of schools and motivate citizens to demand change. This can only be done by engaging the public via local and national media. The Council of the Great City Schools has also recognized the importance of generating public support through the media. For example, in an Aug. 15, 2011 press release the council announced that it has received a grant of $4.6 million from the Bill & Melinda Gates Foundation. The three-year grant is aimed at promoting and coordinating successful implementation of the new kindergarten to 12th-grade common core standards in English language arts and mathematics in big-city public school systems nationwide. The grant will contribute to strategic communications, capacity building, curriculum and assessment alignments, professional development, pilot testing and a host of other measures needed to provide strategies, tools, advice and counsel to the nation’s urban school districts as they prepare to implement the state-led common core standards. Externally, the council will also develop materials that will build public awareness to engage communities. This will include development of public service announcements for broadcast, cable and social media outlets to educate the public and communities to the need and importance of common core standards. 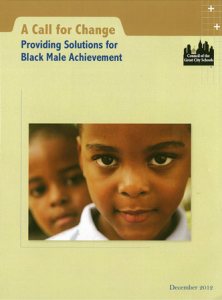 Indeed, we can take a first step toward promoting Black male academic achievement by raising the expectations of students and teachers. 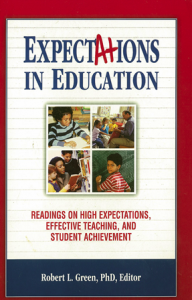 As noted in this report, my experience and research indicates that parents must be engaged and school administrators must also be champions of equity and achievement. Other contributors at this conference will offer additional solutions. However, in the end, we must take the additional step by raising the consciousness of the public to provide local resources necessary to reform our schools to create the high expectations that will raise achievement at all levels of public education.